So, no sooner had I cooked Dr. Matthews’ favorite meal EVER, when I made another meal which he proclaimed to be his favorite. He was hesitant to say this, since he had just said it about the shrimp and grits, but he is an honest man and I truly believe this meal became his new favorite. Stir in mushrooms and 1/4 tsp salt and cook for 5 minutes until mushrooms are tender. 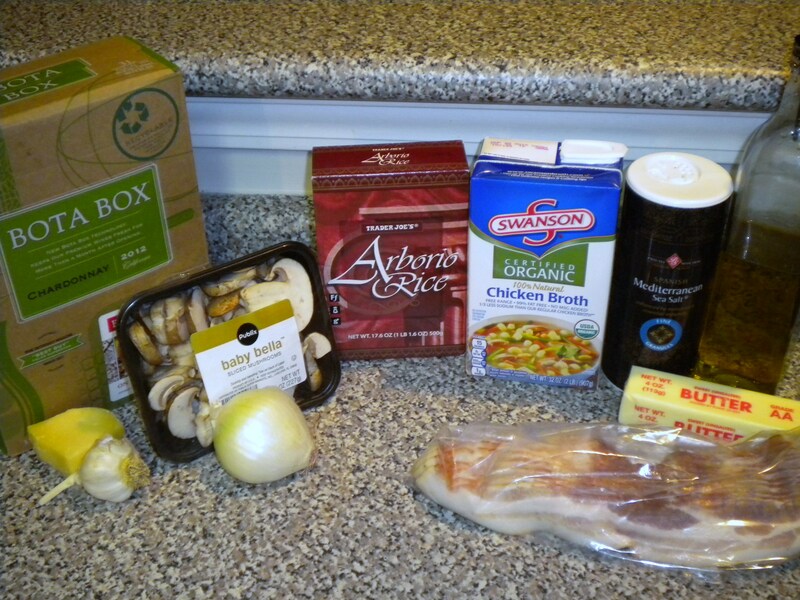 Add 1/2 cup of hot broth to rice mixture; stirring constantly until liquid is completely absorbed. Sounds simple, right? Well, it was simple enough, but it did take a long time to get all that broth stirred in. I set a timer for the 25 minutes just to make sure I was pacing myself right. And since I can not stand still in one place for that long, I also prepared steamed broccoli and Lemony Sauced Chicken Breasts, to which I added some fresh rosemary from our herb garden, while I was adding the broth. 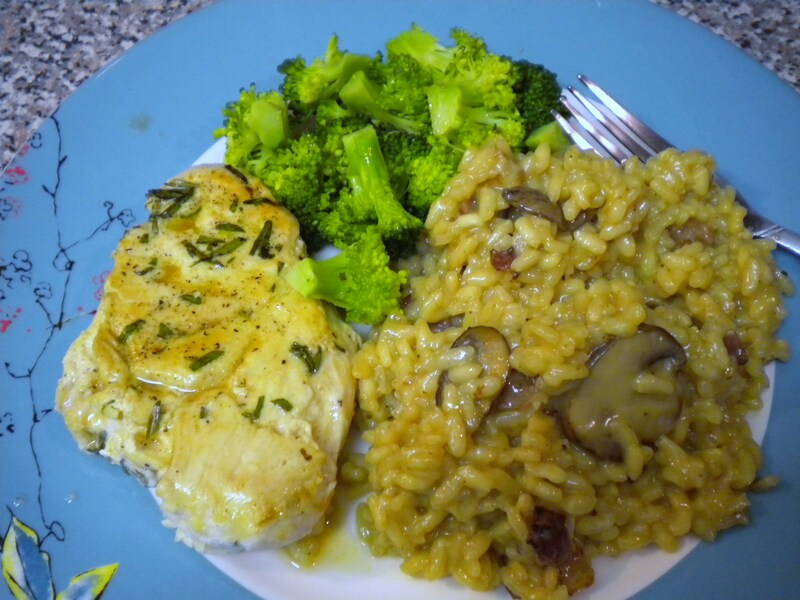 This chicken paired with the risotto really put it over the top for Dr. Matthews. Makes my mouth water just looking at it. 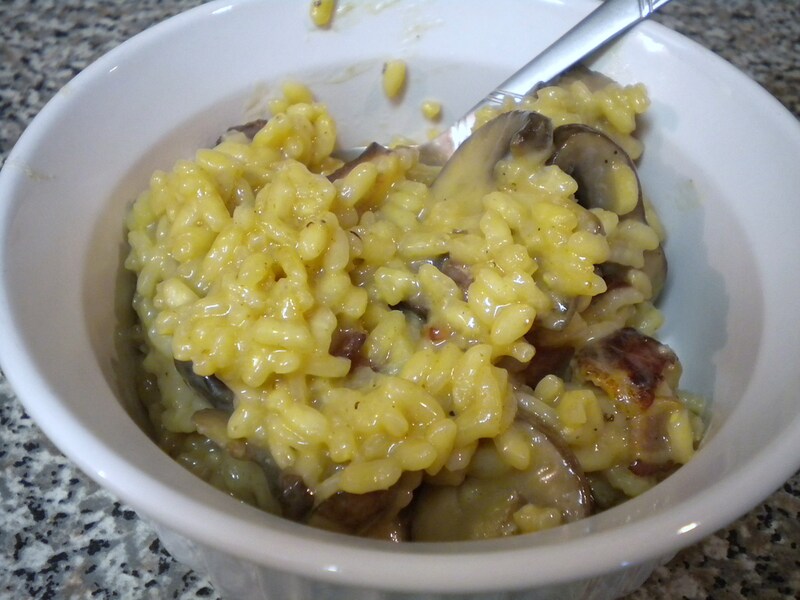 The risotto was so rich (thanks to all that cheese and butter) it could have been a meal itself. One trick I learned for making chicken (or any meat) is to remove it from the heat a couple degrees or minutes before it’s totally done. It will finish cooking with the heat it’s got going internally as long as you don’t cut into it right away. Waiting about 5 minutes to cut into it will also keep it from drying out. This really works! 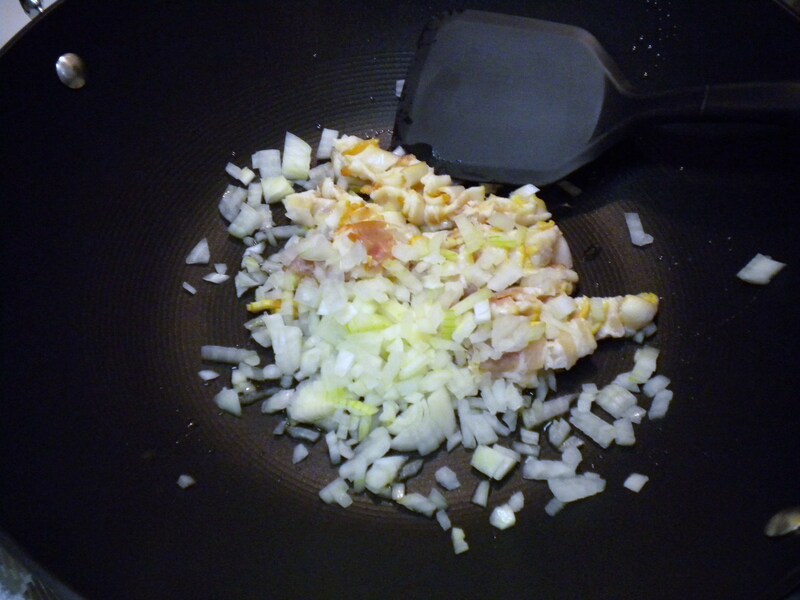 Especially for chicken breasts, which tend to get dry quite easily.